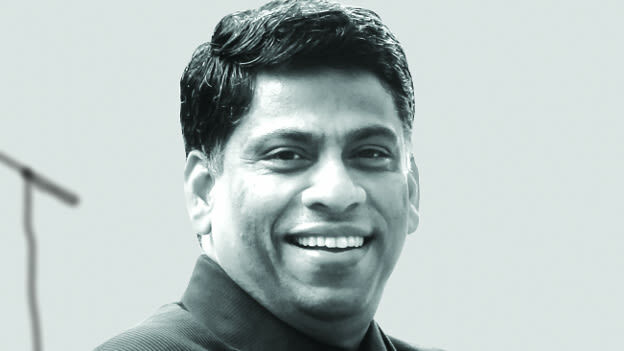 Dr Moorthy Uppaluri has more than 15 years of experience in executive leadership positions at Randstad, Microsoft, GE and other MNCs in organization building, strategic business planning, integrated execution, process improvement and business acumen. He is now leading a workforce of over 60,000 people at Randstad in India. In a free-wheeling chat at the launch of the 2015 Randstad Employer Branding report, we talk to him about what lies ahead. Having been in the industry for so long, what are the recruitment trends we can look forward to in the coming months? There are a few salient trends that have emerged significantly in the last year. To begin with, people have moved away from the mental stigma associated with flex work and there is now a definite movement towards it. Another significant trend is competency based hiring. Hiring is no longer taking place simply through a job description. We, as a company go a step further and do a three-dimensional fit study: Firstly, is the person the right fit for the job; secondly can the person work with a particular boss: and finally will the employee fit in with the company’s culture. Increase in flex workers: Globally, when companies enter new markets, they focus on getting flex workers. Depending on the response of the market, new entrants then look at augmenting those numbers. This trend of hiring flex workers has also caught up in India. The push may have come about due to the ambitious Make in India Campaign and other government initiatives or from the positive sentiment that is cascading in the market. However, both market influence and willingness have been the drivers for this trend and flex work is on the rise. With the increase in e-commerce and retail, sales and trade marketing functions have seen an explosion of flex workers. Awareness about RPO: There is heightened awareness in India Inc. regarding hiring talent, which in itself is not such an easy job. With accelerated spikes, where companies are looking to hire a large number of people in limited time, people are turning to Recruitment Process Outsourcing. Looking at our own order books, the numbers have grown significantly, with over a 100 percent increase year-on-year. Hiring Just In Time (JIT): Companies now want talent that is just in time, and this requires a higher level of agility from the recruitment process. This has also increased the trend of having a talent partner, which has already been scoring the market, building a database of potential talent and filling up positions wherever required. The Japanese automotive manufacturers were the first to implement and benefit extensively from this method. You mentioned RPO. Which sectors have taken up this route? RPO has been adopted by several sectors such as pharmaceuticals, automobile, technology, banking and others. However, this trend is not limited to a particular sector only. Major global companies are leading this change as they have the experience of adopting RPO in other parts of the world; and they see the same footprint, scale and surge in India as well. How do you focus on hiring the best talent? We follow the same rules for our company as we offer to our clients. We believe in meritocracy and select meticulously. As a company we are ready to pay the best in the industry. We undertake a thorough workforce planning, depending on affordability and location and invest in training, onboarding and development. We usually do not hire at laterals, and promote internally. We take a strategic approach to talent acquisition. When hiring, we do a job, boss and cultural fit to ensure that the prospective employee can fit into a long-term career with the company. Once the talent comes on-board, we take the approach of pay for performance and let people chart their growth paths. However, we take a very patient approach. In case of non-performance, we consider changes in roles and bosses and providing a different work environment to give our employees a chance to grow. Empowerment and transparency have been our pillars and we have a channel called ‘straight talk’ as part of our engagement activities where any employee can ask anything from me directly. I particularly stress on promoting internal talent and building a leadership pipeline. For a position, where internal talent is at a 40 per cent gap and an external prospective candidate is at a 30 per cent gap, we would go for our internal employee and condition him/her for the role. This not only helps in employee motivation, but also works better as we know the level of commitment the person has for the company. Internal job promotions have often proved to be more successful than external hires and success rate increases as one goes higher in the hierarchy. Success also mostly depends on improvizing. How do you factor that in your leadership plan? There are two ways to go about it. One is by looking outside – hearing out clients and solving their problems. The other way we apply here in Randstad is called inward out. This is based on operational efficiency and efficacies, where we can derive economies of scale as we put 60,000 people to work everyday in India; we can pass on the benefits to our clients with that. We are also engaging with technology to improve our efficiency, so that our clients can benefit from that as well. Both of these approaches help a great deal in improvisation. Keeping an open ear for everything is important. Innovation will not come from just one corner, but rather can make its way from anywhere. Hence, we listen to our employees and take their suggestions for improvements on processes, products and services, making improvization a continued conversation. How big a part does employer branding play for a company today? Employer branding is vital as you need to be known for what you stand for as an employer and your employee needs to connect with that. That is the way a company can become prominent in the domain they are operating in. It also helps in attracting and retaining the right talent and creating a differentiation as a business. We all know the value of branding in the things we buy, drive, wear or use. The higher the brand, the more we are willing to pay the premium because the brand is associated with quality, status, recognition, rewards and prospects. The same thing applies to the employer’s brand. There is a sense of pride and belongingness that develops when talent is associated with that particular brand. A lot of companies are seeing value in employer branding and investing. However, an important point to note is that employer branding is not limited to the leadership or the marketing of the company. It is now dependent on every employee of the company who acts as a brand ambassador.